Five Cross Roads Medical Centre is a progressive modern primary health care practice committed to providing you and your family with a wide range of health services, helping you stay healthy. 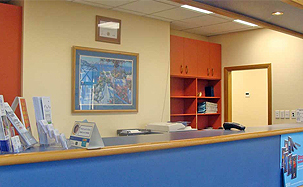 Our medical centre offers a friendly comprehensive service focussing on wellness and preventative healthcare. For over 20 years our family general practice has looked after the health of local residents across Hamilton and surrounding areas. We love being part of the community. Our staff are from several different ethnic and social backgrounds which helps us to understand our patients needs. Our focus is on providing professional personal care from the moment you first call. An important part of this, is getting to know you and understanding your life situation, because we believe this allows us to provide you with more effective and well rounded treatment. We are committed to the delivery of quality healthcare in a friendly caring environment. Through a partnership of trust and professional integrity we will endeavor to achieve optimal health outcomes for you and your family. Five Cross Roads Medical Centre is located at the corner of Peachgrove and Tennyson Roads with onsite parking and the convenience of a Pharmacy, Physiotherapy clinic, Midwife, Plunket clinic, Appearance Medicine clinic and Chiropractor next door. We currently have the capacity for new patients to join the Practice so feel free to pop in and complete a HPHO ENROLMENT FORM v.4 new DEC17 (pdf also available under the New Patient tab).